Firstly, a big thanks to everyone who has bought our new record Whiskey, and supported us by attending shows on the release tour over the spring and summer. We’ve had a very busy, but very enjoyable few months, getting all across the country to lots of new venues and festivals. We have plans for the autumn that include a USA tour and a new video shoot, then we’re heading back to Germany in early 2013. More info on all of this to come; the USA tour dates are on the gigs page of the website. However, before all that, we would very much like to invite you to our last big headline home-town show for a while, at The End, the Birmingham Ballroom, on Friday 14 September. 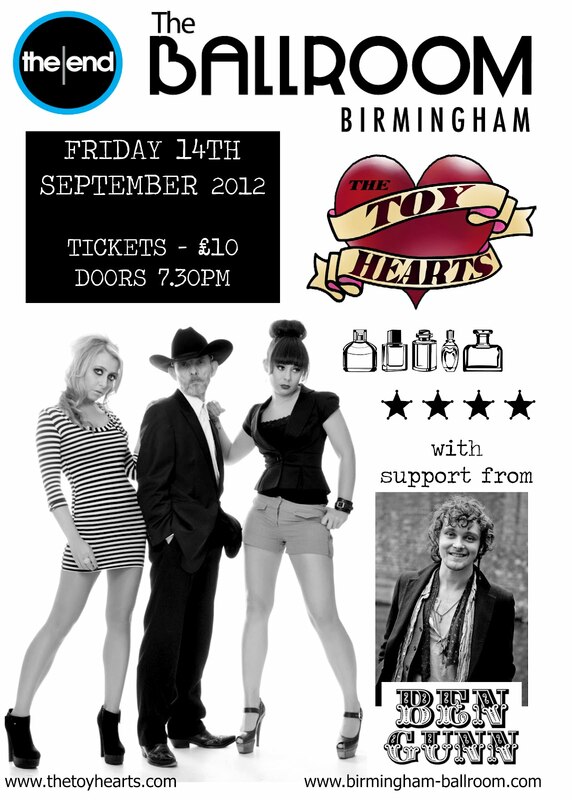 We are thrilled to be playing in this great venue; for Brummies in the know, the Ballroom is where the old Hummingbird Club used to be. Fellow local musician Ben Gunn will be opening the evening with his own brand of blues, rhythm, and skiffle music. We’ll be playing material from Whiskey, as well as some very special brand new songs which we're preparing for our trip to the States. Come on down, we promise you’ll enjoy it! 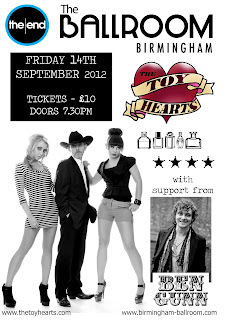 The End @ The Birmingham Ballroom, Friday 14 September; 51 Dale End, Birmingham, West Midlands, B4 7LS. Doors 7.30 p.m., tickets £10. Children under 14 are welcome to attend but must be accompanied by a responsible adult. NB - Although you will be able to buy tickets on the door, we strongly recommend buying them in advance from the links below to avoid disappointment!